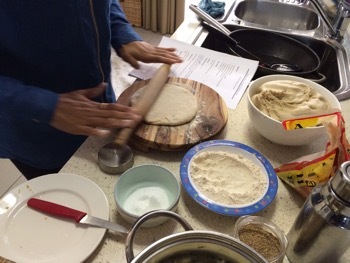 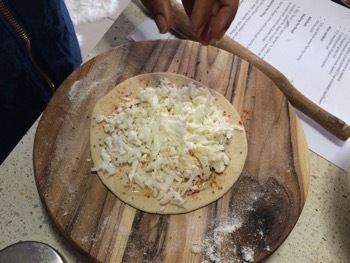 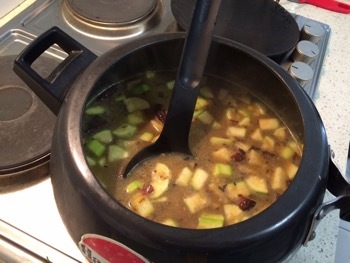 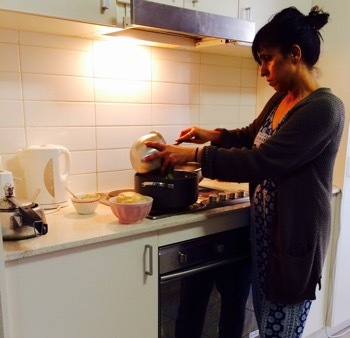 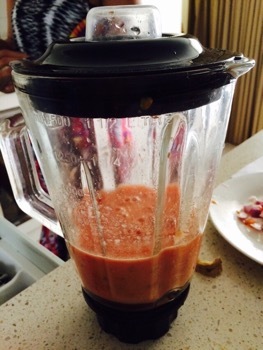 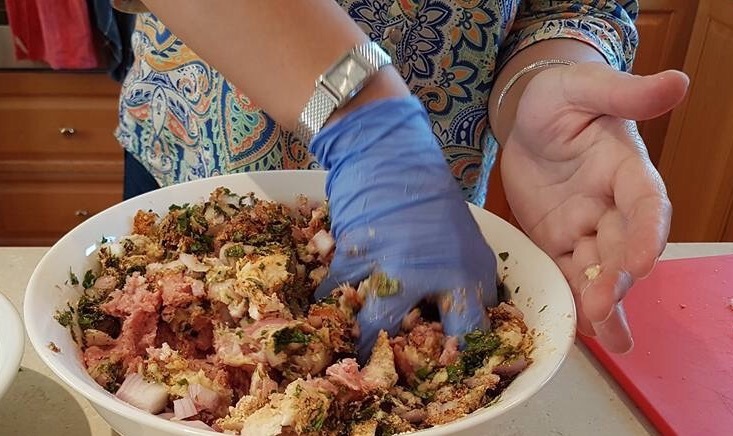 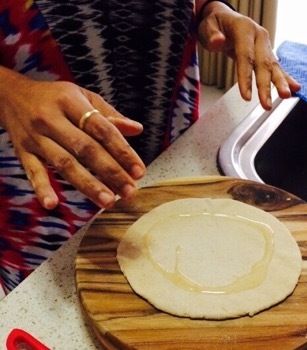 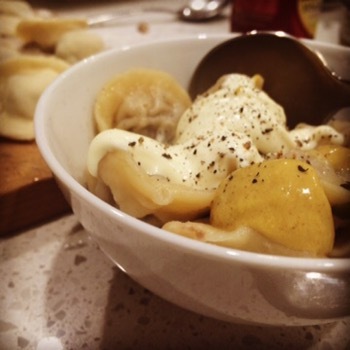 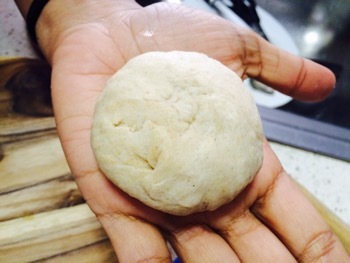 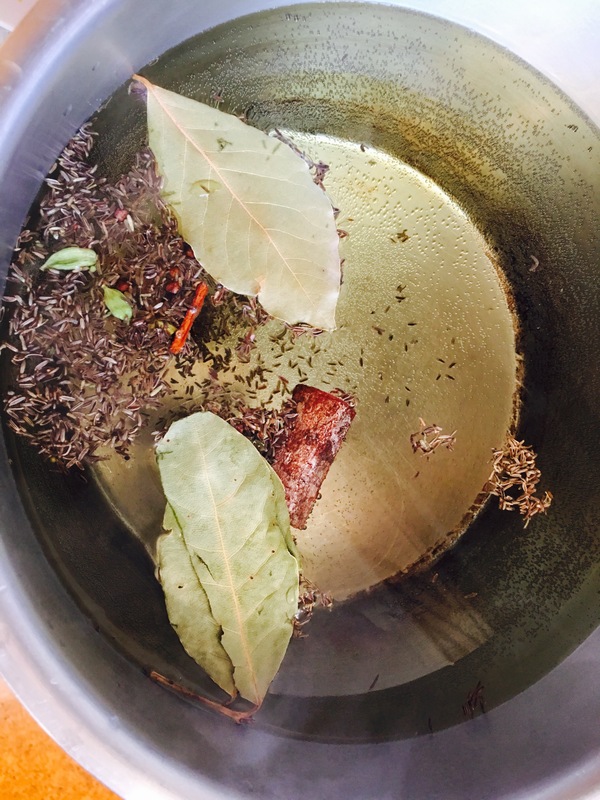 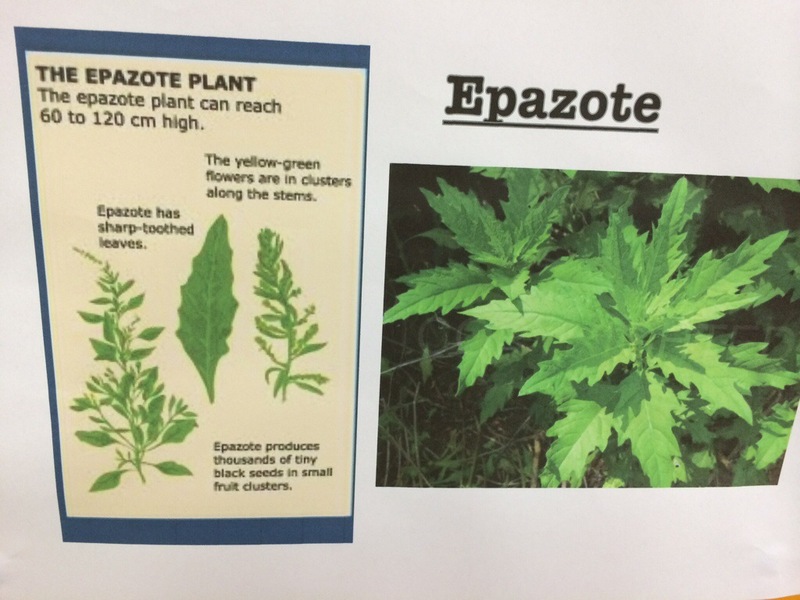 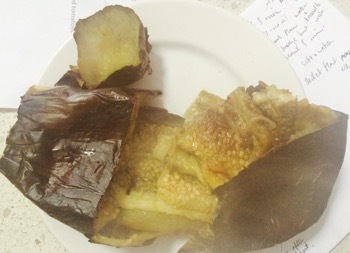 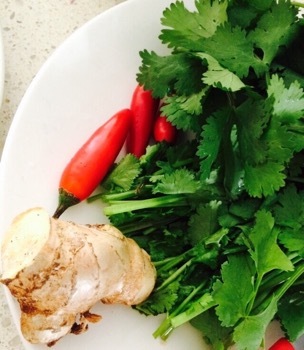 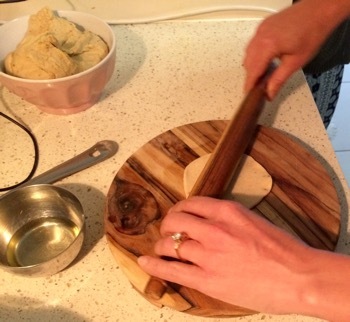 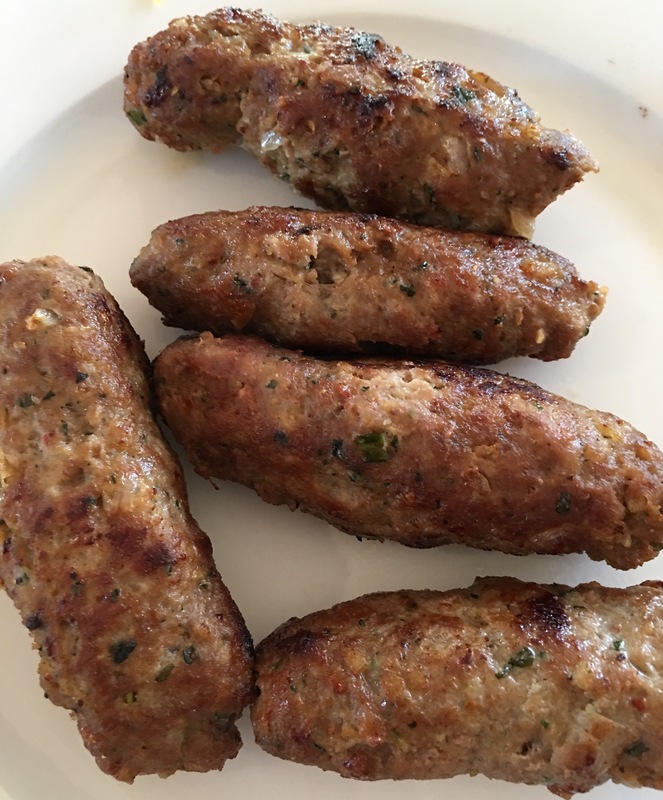 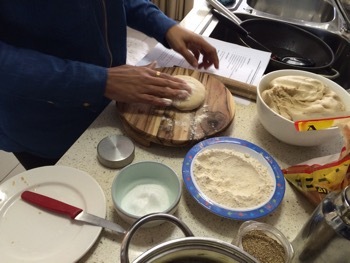 Cooking Circles, Canberra – A brilliant post from Karen! 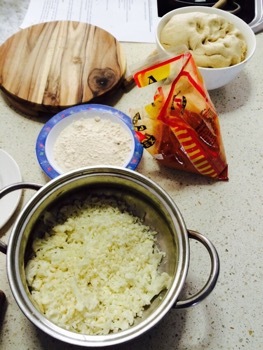 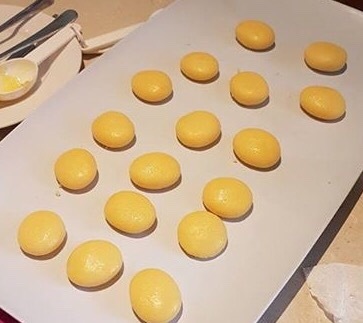 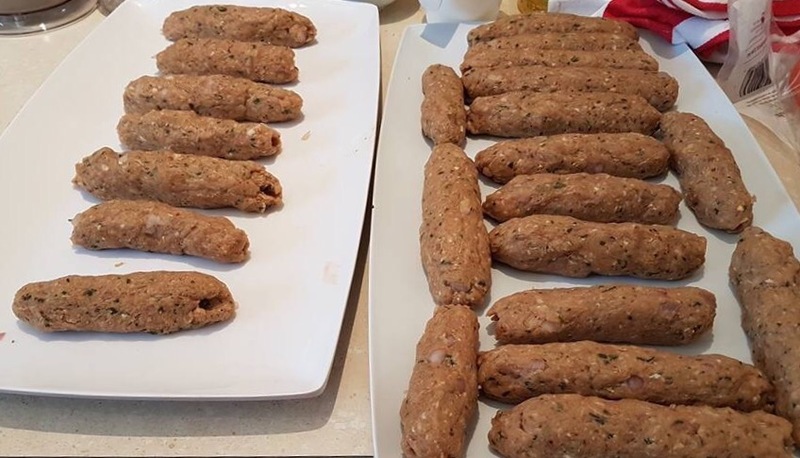 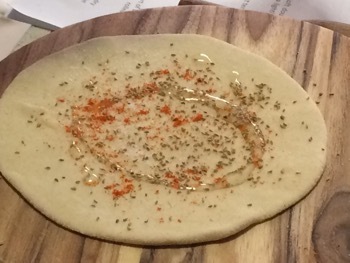 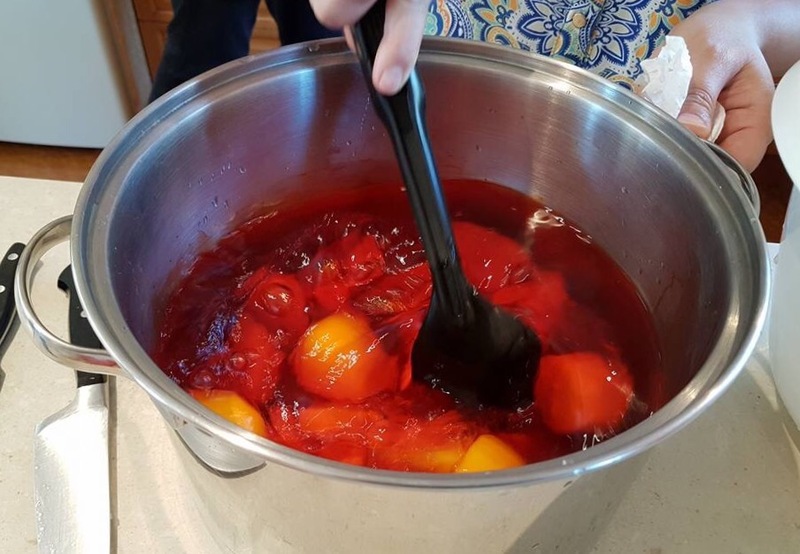 Read Karen’s gifted post here about a wonderful evening of great company and pelemeni making! 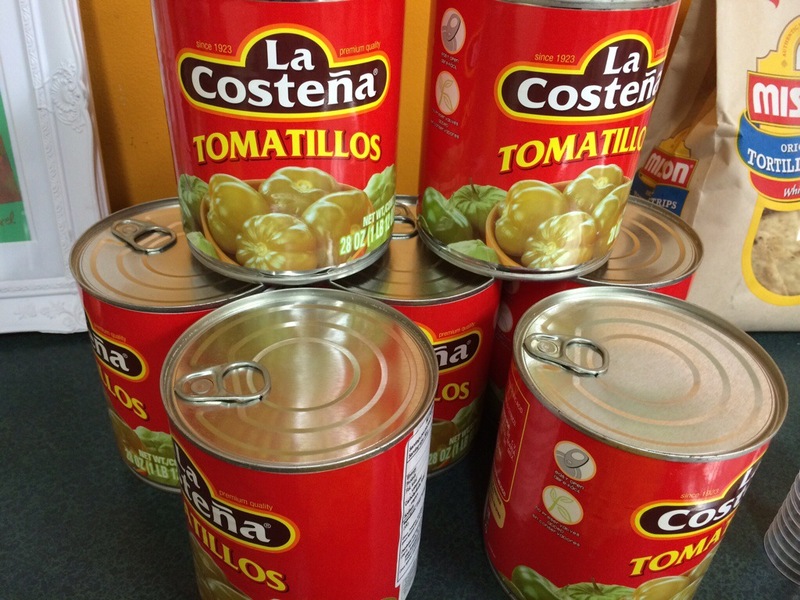 Thank you so much Karen Really Likes Food. 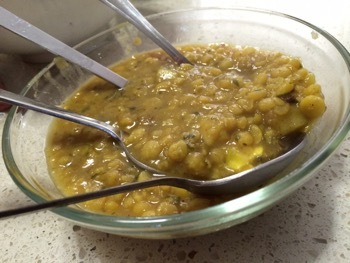 Another differently textured and flavoured curry to add to a vegetarian feast repertoire is a classic dal. 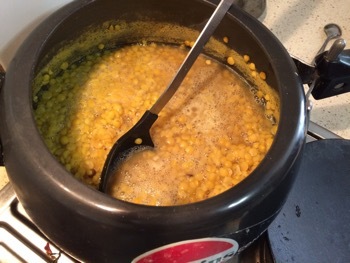 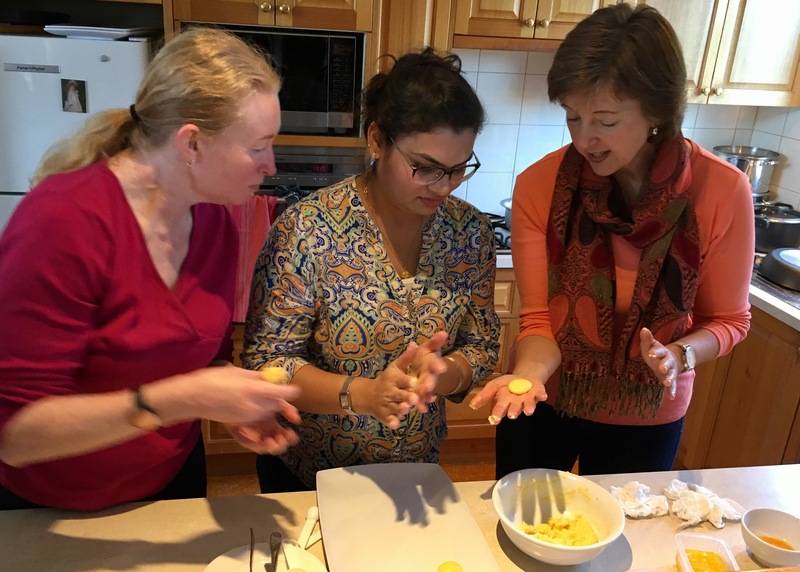 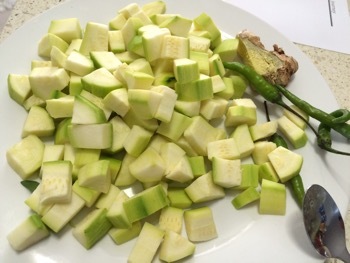 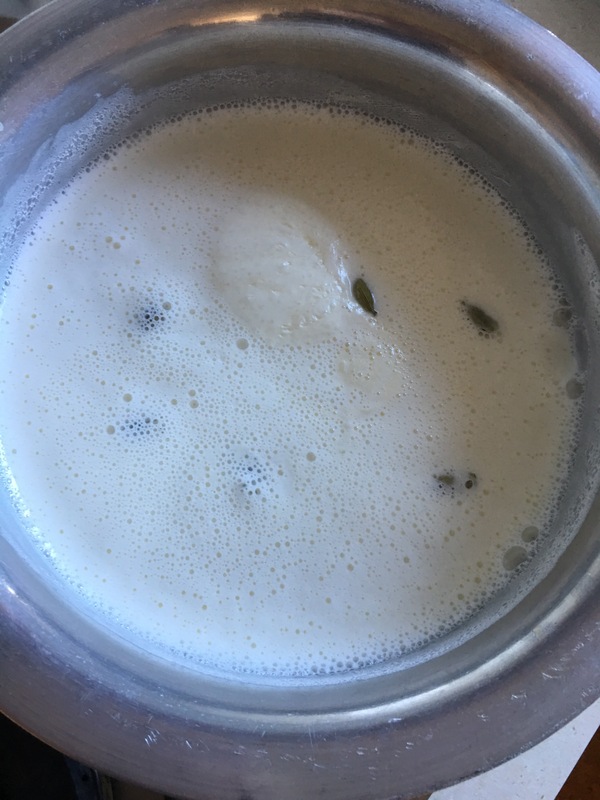 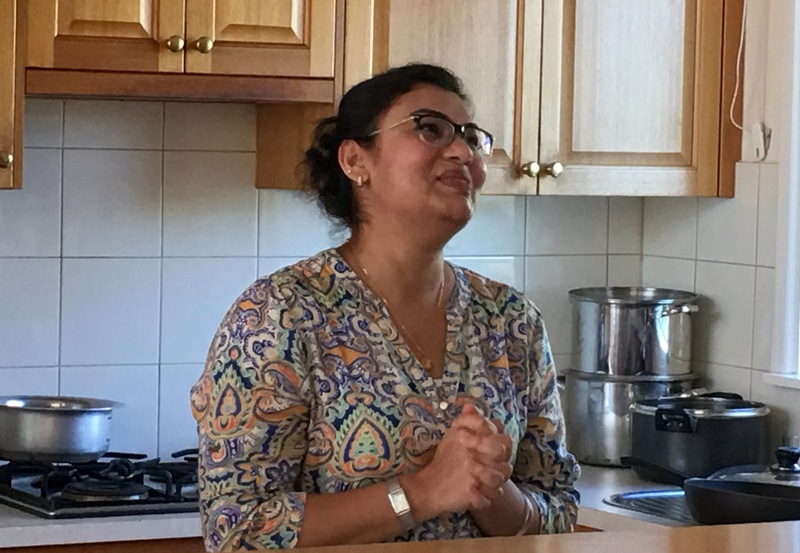 At her Sunday afternoon Aroma and Spice Indian cuisine cooking lessons, Vinnys shows how to prepare a very good channa dal with zucchini ( or long melon) …..
….with cauliflower stuffed parathas to accompany it. 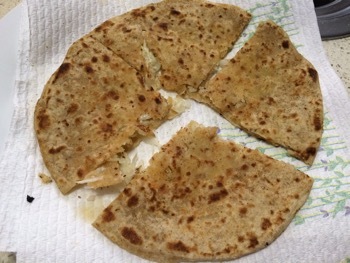 Like the other parathas Vinnys has taught, the parathas can be made ahead even frozen and are quick and easy to create. 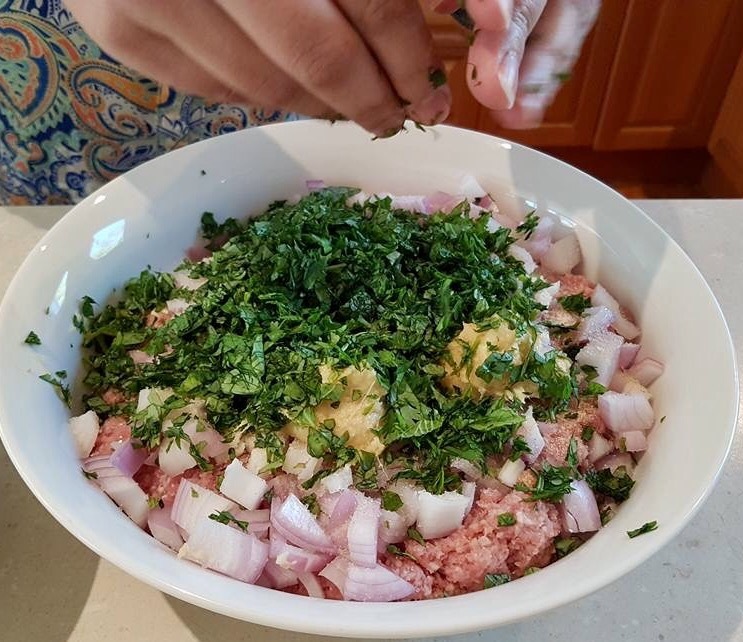 Having successfully created the Potato and Spinach Curry at home that Vinnys taught in the first lesson, it’s great to learn a new side dish/entrée dip to go with it. 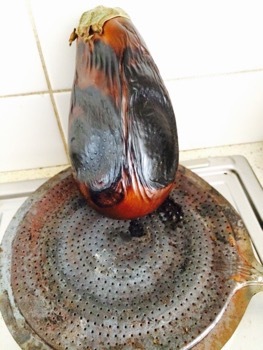 Vinnys helpfully demonstrates how to smoke the eggplant on the stove and even offers to source the special pans to use at home. 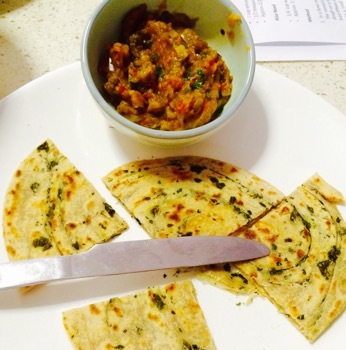 Quick and easy, using tinned tomatoes, red chilli and coriander also with conveniently the same spices as the Potato & Spinach Curry, the dip comes together perfectly. 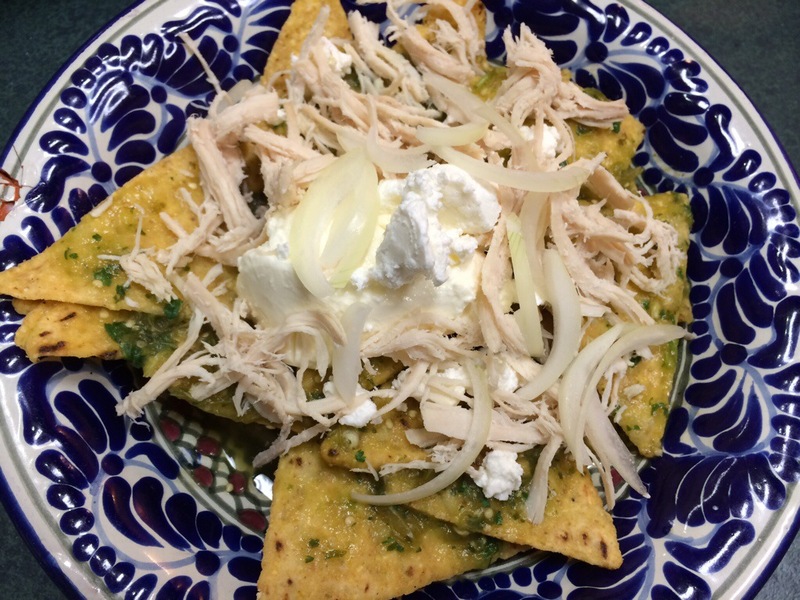 Serve with breads as an entrée or side dish. 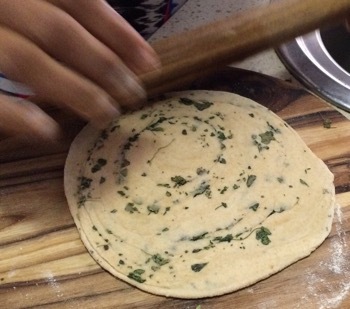 But also very handy, is knowing how to create the parathas. 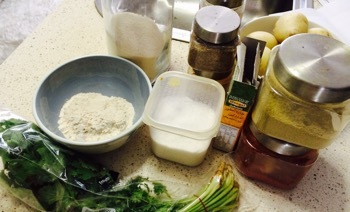 These layered breads can even be cooked ahead and frozen, before heating on a pan ready to serve. 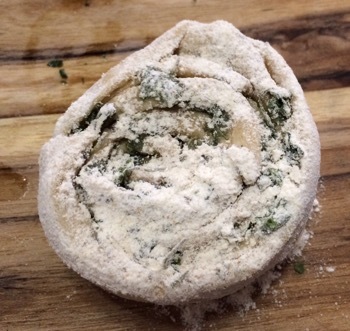 There are several techniques for creating the layers and Vinnys shows several. 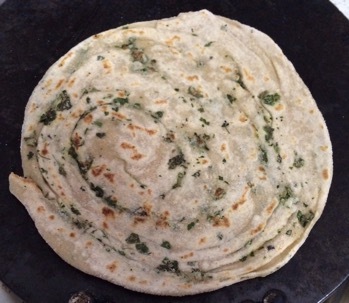 Using just a few simple ingredients, they can be fancied up with herbs or made richer by adding butter to melt on the cooked parathas. 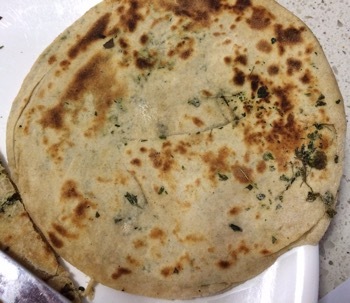 Stuffed parathas are also another possibility, but that’s a treat for another lesson. 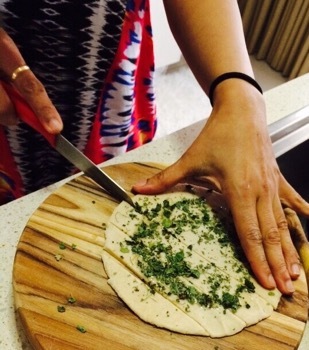 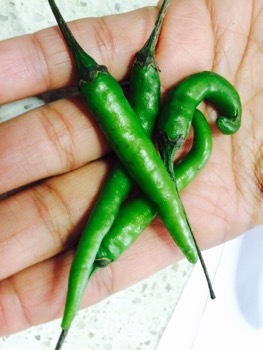 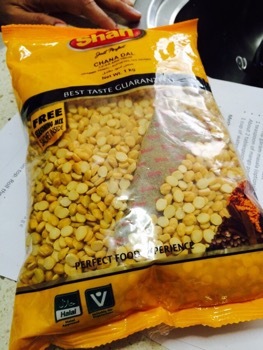 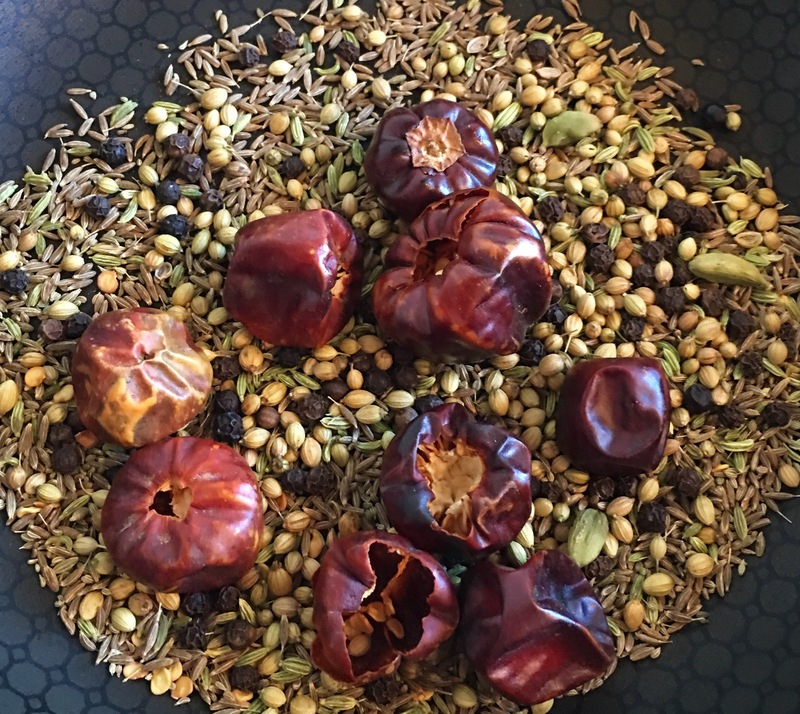 Aroma & Spice – An Indian vegetarian Cooking Journey right here in Canberra! 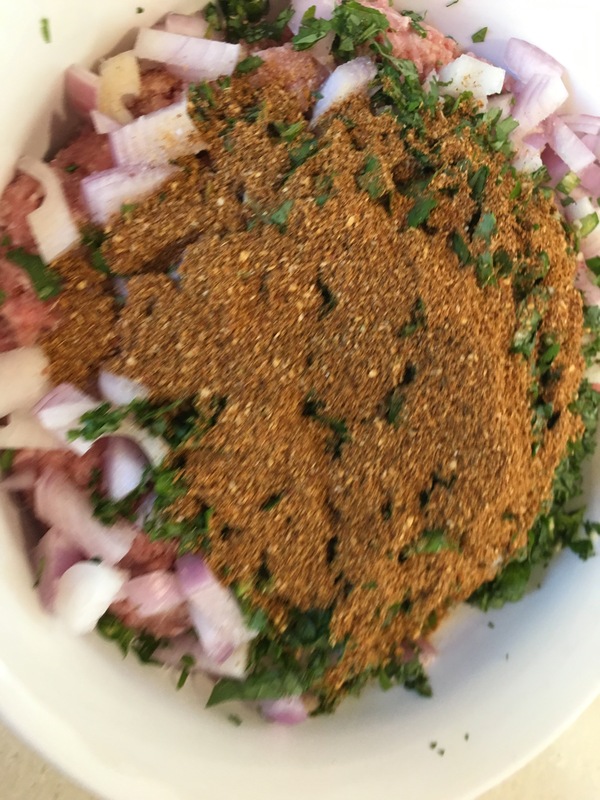 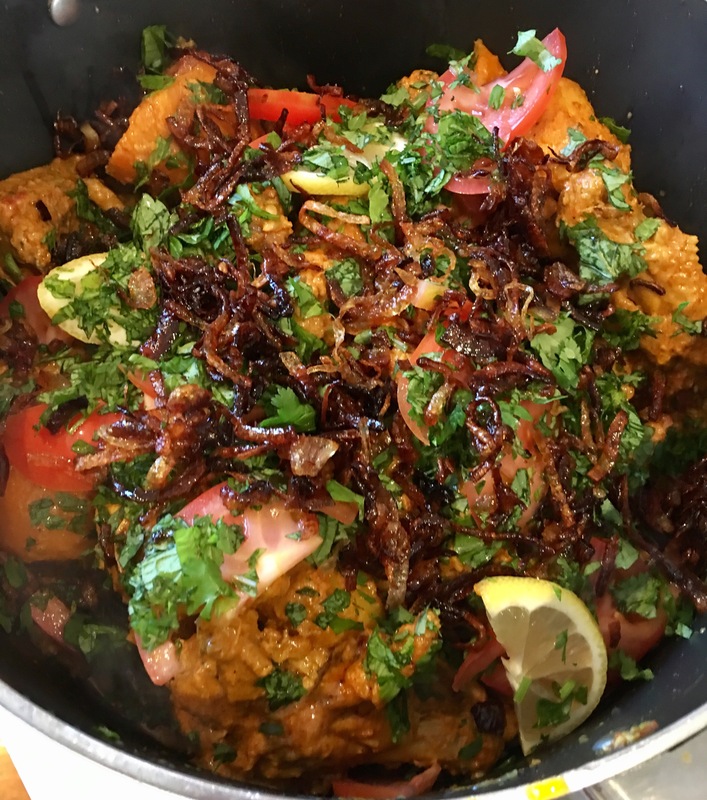 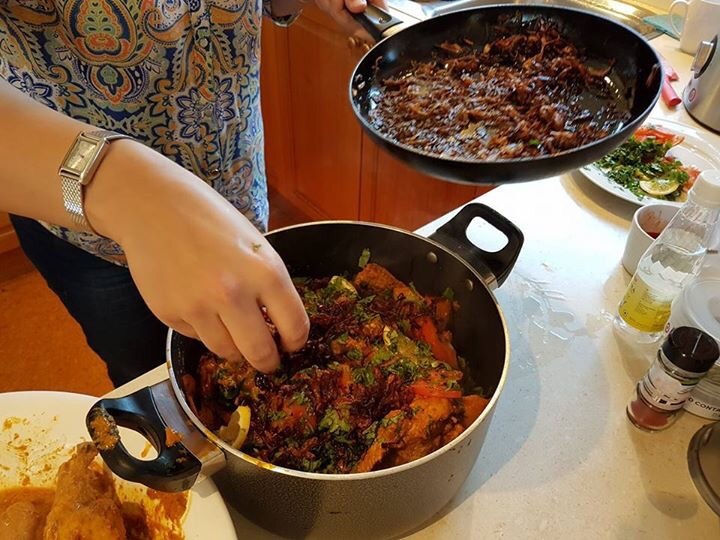 If you’ve ever wanted to master a few great authentic Indian dishes to wow your friends and family, without spending a fortune, then Vinnys’ home style cooking lessons, is for you. 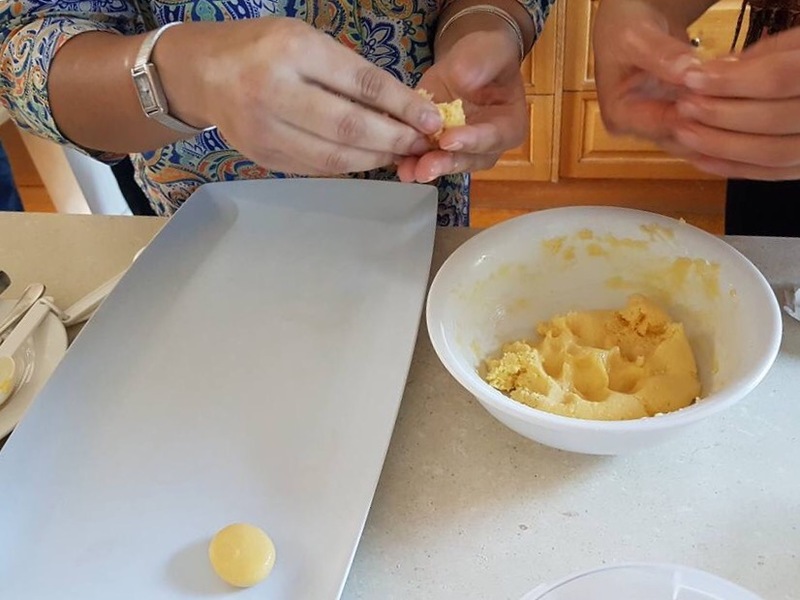 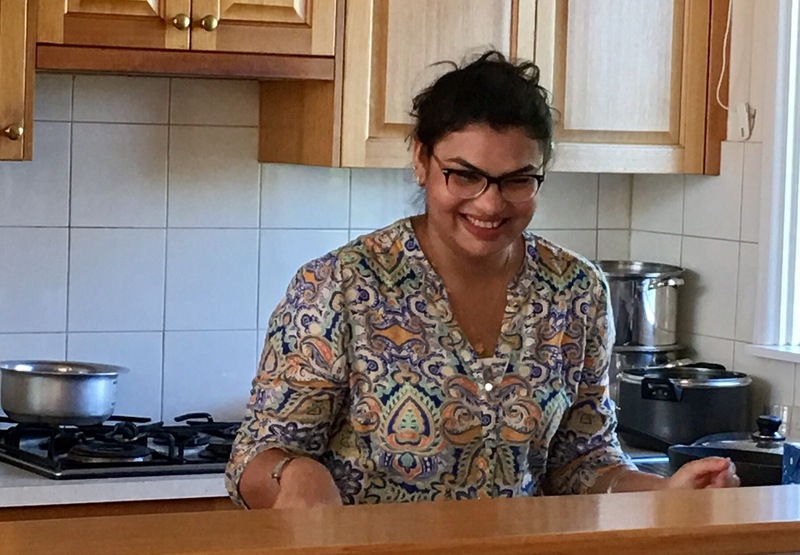 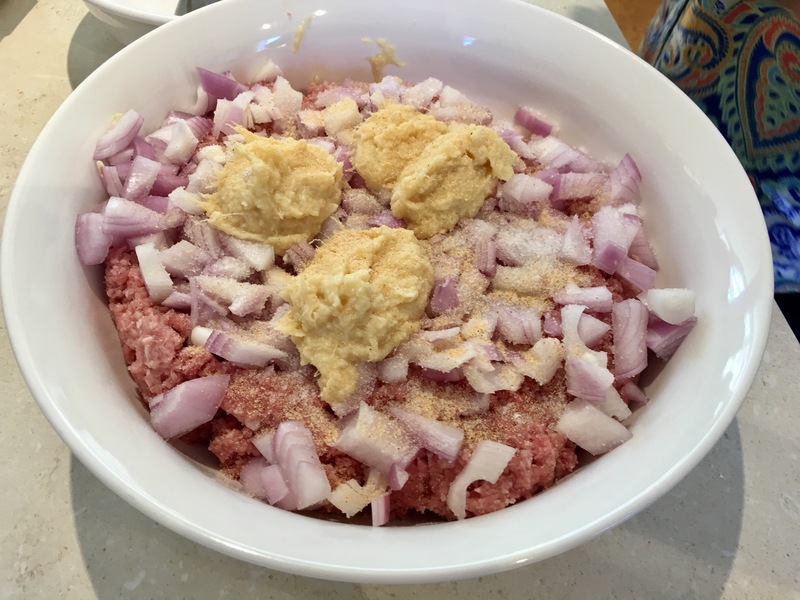 Spending time with Vinnys in her kitchen as she shares her favourite recipes and provides great tips about where to source the ingredients locally, is a treat. 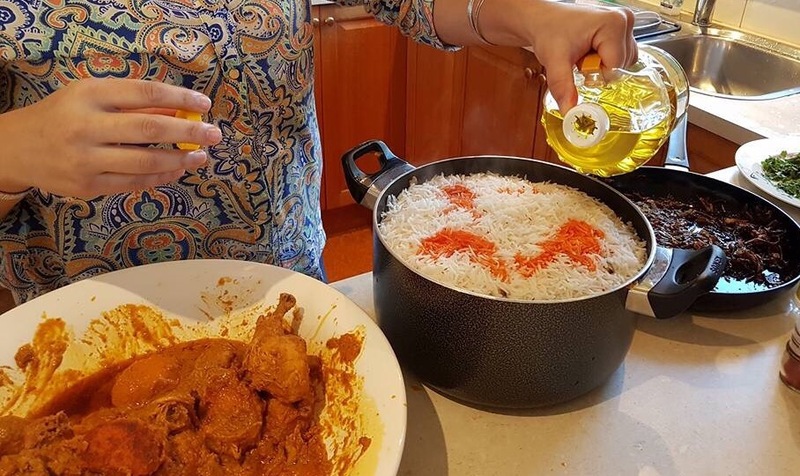 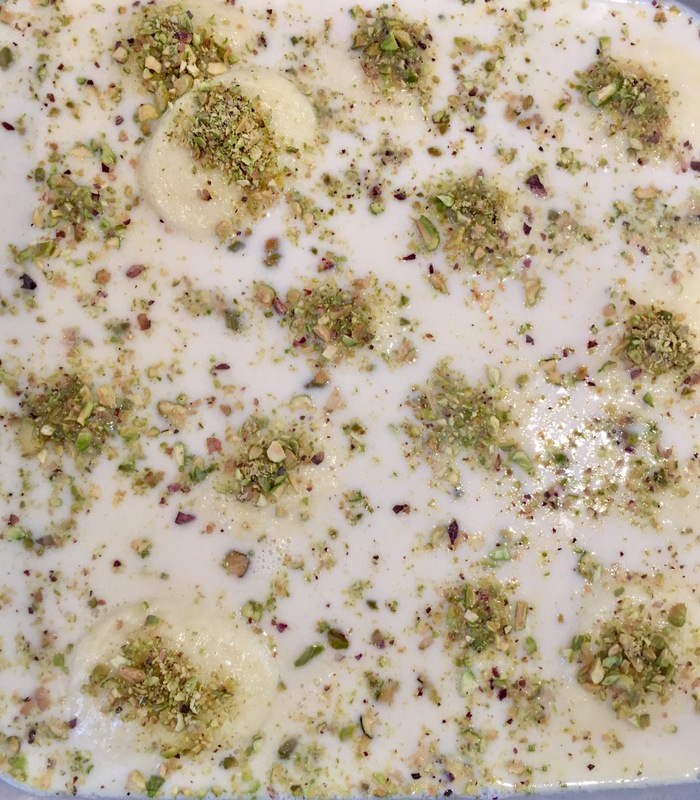 Being a busy, working woman, she has adapted her mothers’ timeless recipes to be quick, easy and healthy, while still retaining their unique and special flavours and textures. 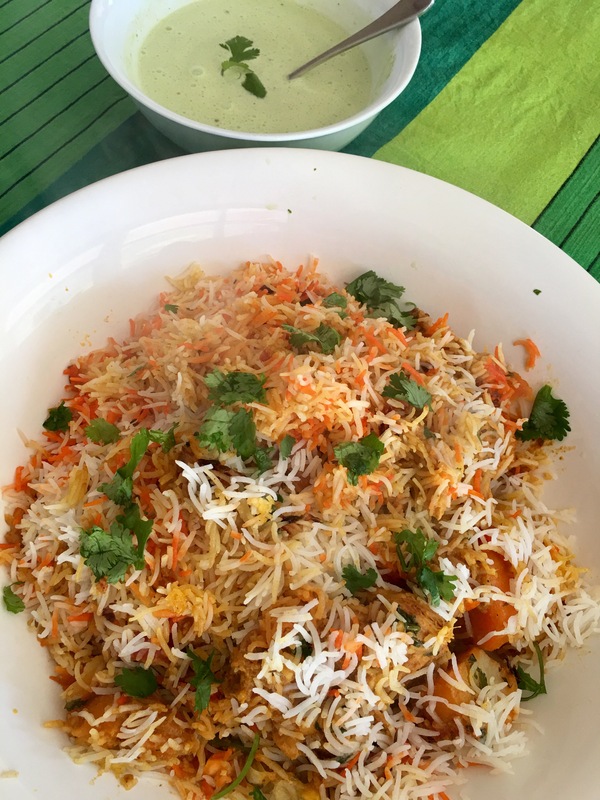 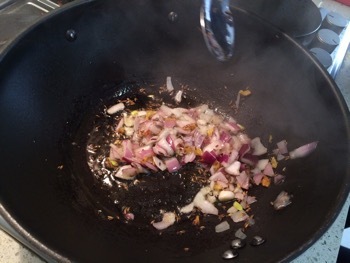 Indian home style cooking is healthier and more flavoursome and varied than many of the well-known restaurant dishes which also tend to be higher in fat and salt. 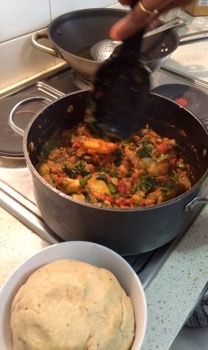 This delicious North Indian Potato, Spinach and Tomato Curry is great served with rice for everyday meals…. 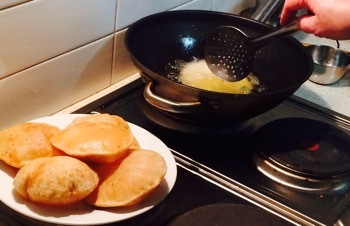 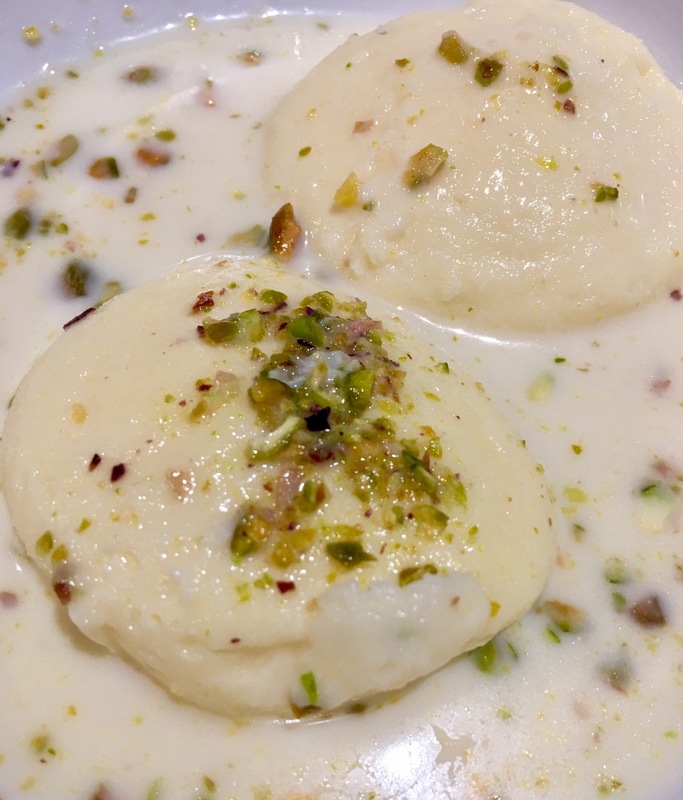 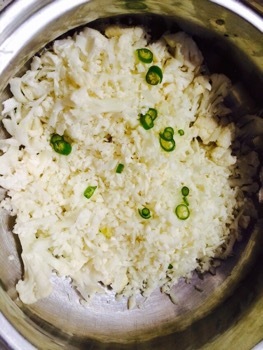 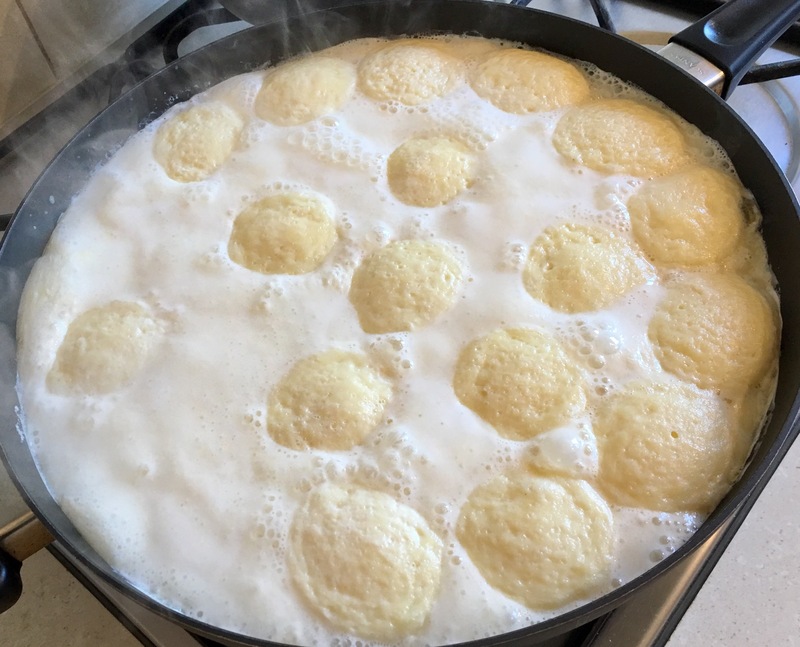 …..but it also becomes very special when served with hot puffy Pooris. 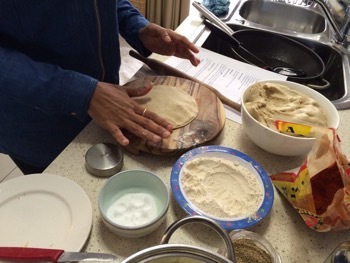 A series of five lessons with Vinnys covers a range of dishes including vegetable curries, dahls and versatile dips as well as classic breads like pooris, parathas and chapattis. 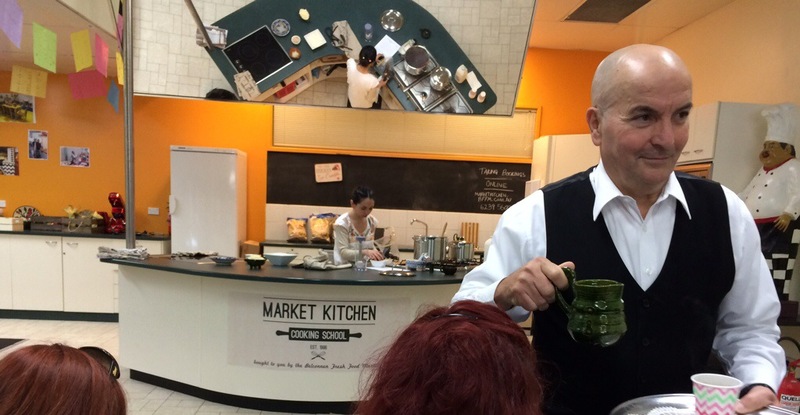 Booking is flexible and you can attend one of more classes at $25 per class ($120 for five). 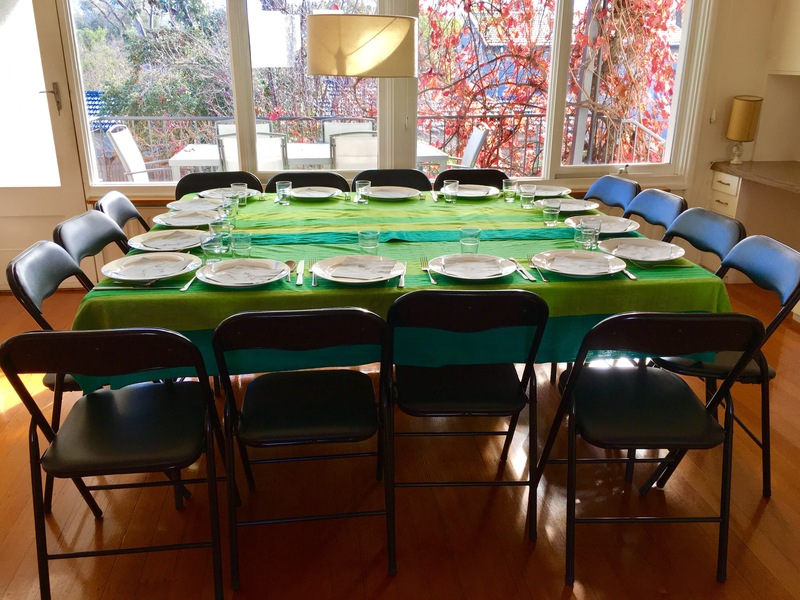 Grab a few friends and make it a social event. 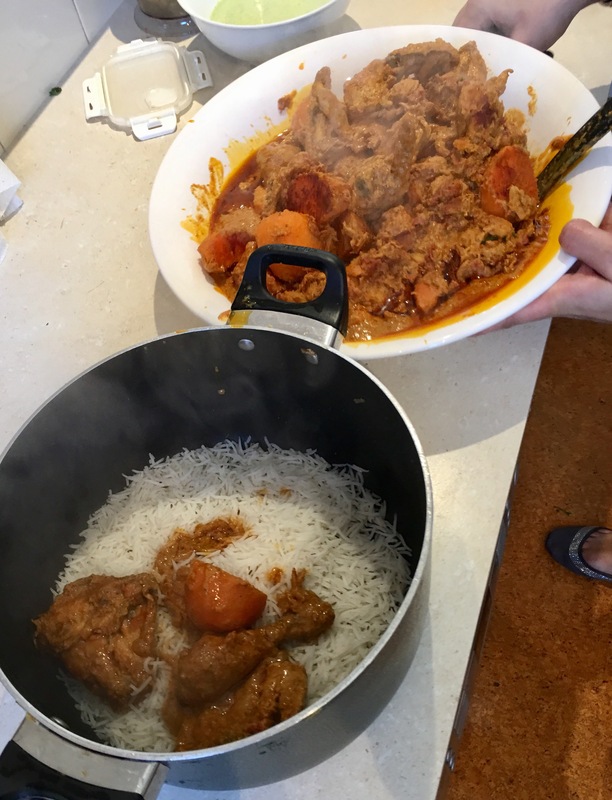 Groups are kept small so that everyone has a good opportunity to learn and take home the dish of the day to enjoy for dinner. 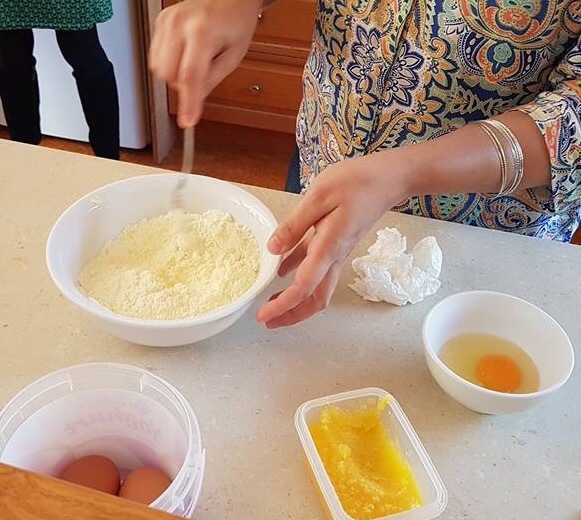 It’s like having a good friend share the secrets of their special recipes and step you through to create them yourself. 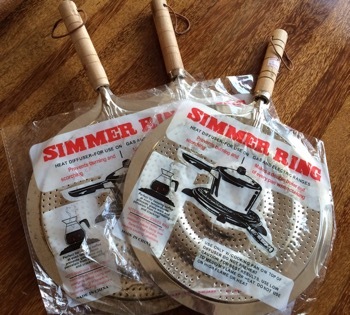 Contact Vinnys for more details. 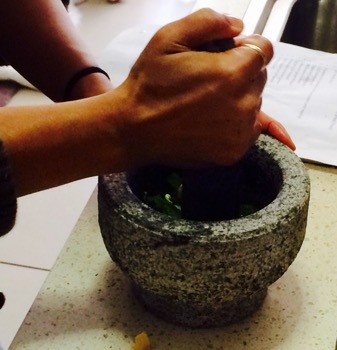 Andrea Rodriguez started Cooking Mexico to share her passion for Mexican cuisine with Australia. 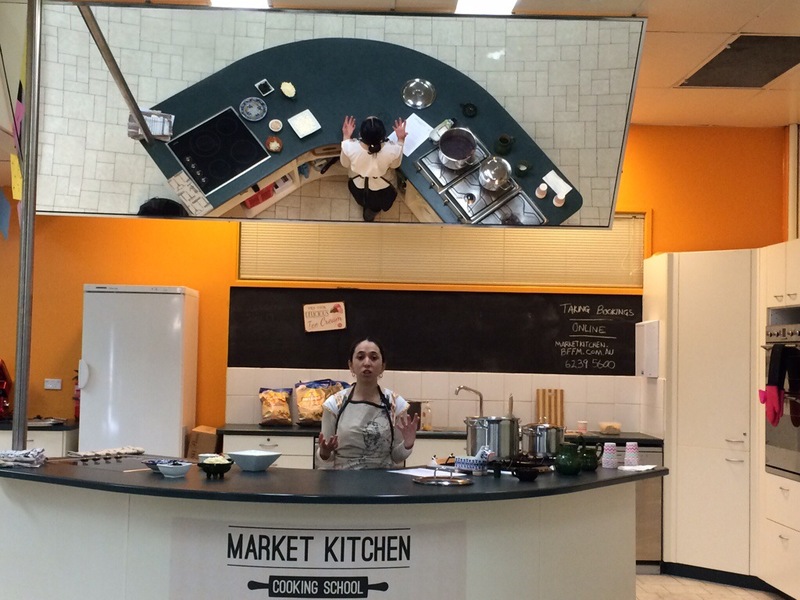 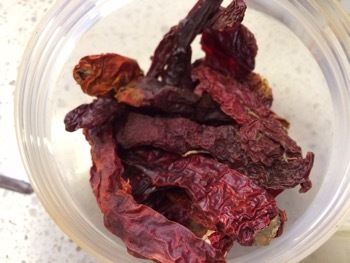 Now based in Canberra she launched her Cooking Mexico cooking sessions today at the Belconnen Fresh Food Markets. 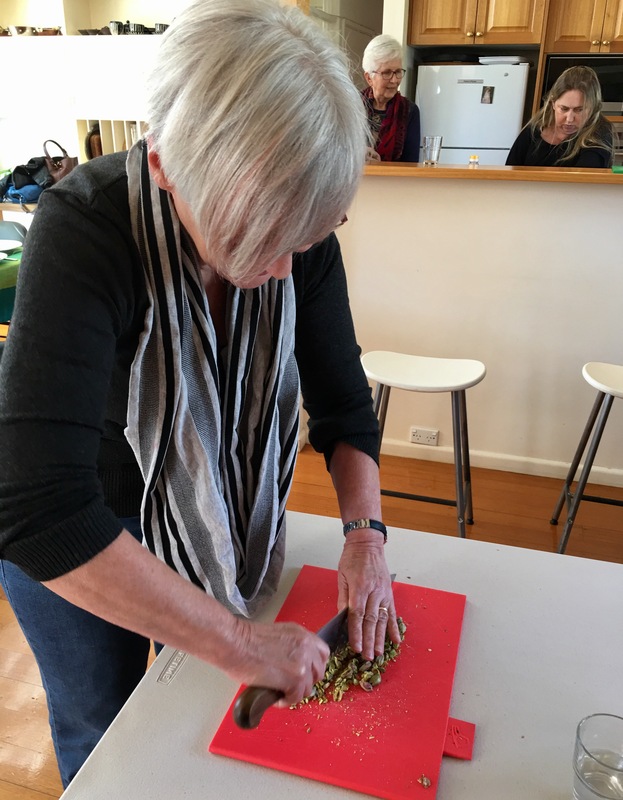 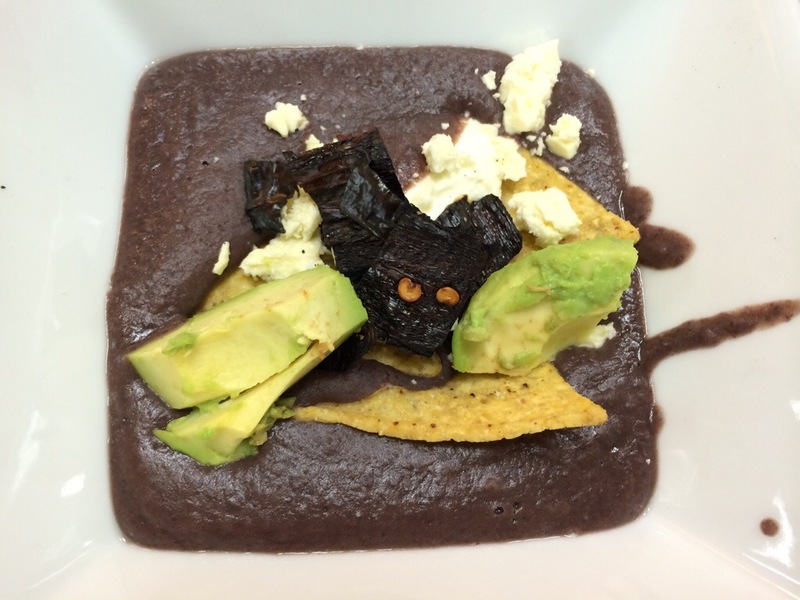 Participants were treated to Mexican coffee and a two course lunch as Andrea demonstrated and served Black Bean Soup and Green Chilaquiles, two simple, traditional dishes using classic Mexican ingredients sourced in Canberra. 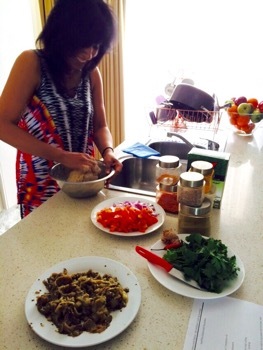 My thanks to Andrea who included me today in her cooking session as a guest.